North Shore Oahu real estate starts here! Listings updated in real time from the Oahu MLS (North Shore homes, condos and land for sale). We help you find your beautiful Hawaii beachfront home on the North Shore with popular surf spots such as Pipeline and Waimea Bay. Call 808-394-9779 to speak to our professional agents. Located oceanfront on Oahuâs stunning North Shore is one of the last remaining large vacant lots. Powerful surf in the winter and beautifully tranquil in the summer, the 103 feet of sandy beachfront at Rocky Point offers an ocean loverâs paradise on over Â¾ an acre. Nestled between Waimea Bay and Sunset Beach this R-5 zoned property sits on what is considered surfingâs â7 mile miracleâ. Direct access to the 5 mile bike path connects you to array of actives without getting into your car. Turtle Bay Resort, a short drive away, offers world-class golf, dining, and an award-winning spa. The vibrant city life of Waikiki and Honolulu are just 50 minutes away. Whether you are looking to create a legacy retreat or are a visionary developer Rocky Pointâs 59-205 Ke Nui Rd. is not to be passed up. Directly fronting one of Hawaiiâs classic surf spots, Chuns reef, this North Shore sandy beachfront estate is one of the finest on the island. Incredible value priced well below replacement cost of the land + improvements! On one of the largest beachfront lots on Oahu's North Shore, sheltered by a large reef point, sits this ultra custom, South Pacific Design Group curated retreat with an expansive 3 bedroom, 3.5 bath meticulously maintained main residence, chic detached guest house, lap pool, detached full gym with bathroom, and 14 person jacuzzi overlooking the waves. This is truly a surfers dream spot with views of 7 different surf breaks. Gated and uber private, with over 6,300 ft.Â² of improvements on 29,164 sq ft of land and 99' of beach frontage, this is truly a dream estate and an unbelievable value with Seller financing available. Don't miss this once in a lifetime opportunity! Beachfront estate land with 150 linear feet of beach, and approved for 3 separate lots via CPR. Seclusion & privacy on gorgeous sandy beach, with spacious land area. One of the most ideal beaches on NS for swimming. Made up of 1 subdivided Lot and 1/2 of neighboring lot which has been CPR'd. Shallow, swimmable beach; no reef, great for morning walks. Includes an older 5-bedroom home with a legal vacation permit (tax records show it as 4 bedroom). Value is the land. Can build a new grand private estate, as shown on the rendering photo. Across the street from tropical rain forest, waterfalls, trails, hikes. 1 mile from grocery stores, Laie shopping center, restaurants, theatre, 8 mi from Turtle Bay Resort. (To build 3 homes on the CPR'd lots, the C&C park dedication fee would apply). Mokuleia 8.39 acres, 240 ft beach frontage is a unique opportunity to own one of the last large oceanfront properties on Oahu. Two Dwellings allowed along with AG Accessory structures. Can not subdivide or CPR Lots further. World class beach with great surfing, fishing, diving, sailing right out front. Walking distance to Polo Grounds, across from Historic Dillingham Ranch. Airfield nearby for skydiving, glider rides, or land your own plane. Honolulu is less than 45 minutes away. 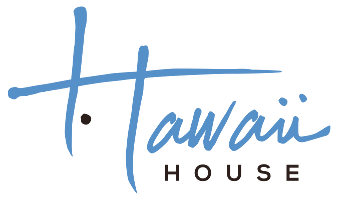 10 Minutes to Haleiwa with over 40 restaurants. Stunning Mountain and Ocean Views. Once in a lifetime opportunity to purchase two adjoining ocean front parcels totaling approx. 8 acres with two parcels each containing a separate building site and room for additional agricultural buildings, barns etc Parcel 1 with approx. 3 acres and parcel 2 with approx. 5 acres each contain approximately 500 ft of ocean frontage, both combined totaling over 1000 linear ft of the most beautiful coral sand beach in all Oahu! Unheard of beach frontage, with water and power to parcels and ready for your dream agriculture hideaway! Appraisalâs range from of $13 mil to $18 mil for both parcels. This chic island beach hm was carefully selected to be the Hawaiian getaway for its owners, NY chefs looking for a truly private island experience. Sought-after E. Coast design firm featured in the likes of AD, House Beautiful & more, created this ultimate getaway. Renovated throughout, this 3-bdrm + den hm was designed w/ entertaining in mind & of course, a kitchen design of utmost importance. Proff appliances, custom cabinets, floating glass shelves & hand painted tiles are just a sampling of this hmâs exceptional appointments. The living room, complete w/ mango wood flooring & walls of glass offers stunning coast line views. The master & guest suites are complete w/ private balconies & elegant baths. Dreamy outdoor living spaces w/ seaside dining, pizza oven + a private hot tub! Luxury, ocean view condo ideally located on the North Shore of Oahu. Exquisitely designed with top amenities, spacious rooms & breathtaking views of the Pacific Ocean. Building G offers unobstructed ocean-facing views, privacy & exclusivity. Features include hardwood floors, natural stone flooring, granite & marble countertops, SONOS sound system, Wolf induction cooktop, Wolf convection microwave, Sub Zero refrigerator, Asko dishwasher, koa wood dry bar with Sub Zero wine fridge, Robern medicine cabinets, LED lighting throughout, custom designed closet spaces, custom window coverings, full size washer & dryer, two air conditioning units new in 2016, ceiling fans in all bedrooms, keyless entry system. All furnishings, kitchenware & linens are included; turnkey, legal short term rental. Once in a lifetime opportunity to purchase two adjoining ocean front parcels totaling approx. 8 acres with two parcels each containing a separate building site and room for additional agricultural buildings, barns etc.. Parcel 1 with approx. 3 acres and parcel 2 with approx. 5 acres each contain approximately 500 ft of ocean frontage, both combined totaling over 1000 linear ft of the most beautiful coral sand beach in all Oahu! Unheard of beach frontage, with water and power to parcels and ready for your dream agriculture hideaway! Appraisalâs range from $13 mil to $18 mil for both parcels. Major Price Reduction! Escape to a private Oceanfront Estate in Mokuleia on a secluded beach. Listen to the waves and enjoy beach living just outside your door in this stunning three-story home designed by architect Tim Leong. With 5 bedrooms, 4 full baths, and 2 half baths, this 3,900-sqft gated estate with Two Master Suites offers incredible ocean and mountain views throughout. The Executive Master Suite offers commanding ocean views with wood floors and ceilings, and a private lanai. The main level features an open floor plan with a gourmet kitchen leading to a spacious living area, great for entertaining and relaxing. Step outside onto the wrap-around lanai offering indoor/outdoor living. After you surf, stand-up paddle or snorkel, rinse off in the private outside shower. Enjoy the large grassy area, lush tropically landscaped yard, huge covered lanai, and built-in barbecue area, great for family fun or entertaining. Experience the serene and timeless lifestyle of Hawaii. A luscious landscape welcomes you to this thoughtfully laid out home full of artful details and family in mind. Open kitchen with an impressive island and dining layout with Subzero fridge with tons of cabinet space throughout. Entertain your guests on the spacious lanai or under the beautiful banyan tree surrounded by birds singing, whimsical plants and koi ponds. Fruitful citrus trees of many variety (Cara Cara oranges, calamansi, finger limes, tangelos, pink grapefruit and more.) Relax and unwind in this serene, private Mokuleia estate. Custom bathrooms designed for convenience of many little ones and ADA use. Sprinkler system throughout the property. Bonus âfarm officeâ already wired and plumbed as well as spacious barn structure included. STUNNING PANORAMIC OCEAN VIEWS & KO'OLAU MOUNTAIN VIEWS from this beautifully furnished 5 bedroom 4 bathroom Laie Point estate. This one-of-a-kind 2 story home sits on a private oceanfront flag lot overlooking the ocean. Beautiful architecture includes open beam construction and a very nice Mediterranean feel, as well as an interior 2nd floor wading pool with waterfall to a wading pool on the first level. Granite countertops, stainless steel appliances, garage. Beautifully and fully furnished. Furnishings negotiable. Live oceanfront with no flood insurance required! One of the most beautiful ocean and mountain views of any home on the market right now. Very easy to view on short notice. Welcome home to paradise! Iconic "Bathtub Beach". Beautiful views with lots of opportunities to enjoy the sandy beach and ocean waters in your front yard. 2 bedrooms 2 bath home has travestine floors and granite tops. Spacious rooms with lots of light and ocean views. Property is located in Laie, a university town and about an hour from Honolulu. The famous Sunset Beach is northwards. Close to needed amenities but the property is secluded from the noise and hustle. This price includes island style home & adjacent vacant land, total 12,000 sq. feet land area. Build another unit on the vacant lot or leave it as a nice yard for the family. This is part of a 6-unit condo. Low AOAO fees. Lots of island living and adventures for all ages. Contact us for more info.